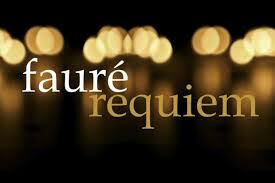 “Everything I managed to entertain by way of religious illusion I put into my Requiem, which moreover is dominated from beginning to end by a very human feeling of faith in eternal rest.” – Gabriel Fauré. Featuring Vox Holloway and Young Vox, with guest soloists Clara Sanabras and Rick Leigh. Sunday 28th October, 7.30 p.m. St Luke’s. Brazilian songs of resistance from her acclaimed Album the Sao Paulo Tapes, together with Samba and Bossa Nova classics. World Premiere of a commission by the Cloudesley Charity. A piece to celebrate the life and legacy of Richard Cloudesley whose will was read 500 years ago. A biblical epic, the story of a young girl who rebels against the patriarchal society of her time, is condemned to death twice and escapes twice. This beautiful image of Thecla has been created especially for us by artist Jane Ray. (Used with permission, copyright Jane Ray January 2018).